In just a few days, it'll be the season of our redemption and so it's time for my springtime note to bring you up to speed. I know you probably already know a lot of what I'm about to tell you, but just in case you don't, I'll do my best to fill you in. As an aside, although the calendar says it's spring, the meteorologists are saying otherwise. In fact, it's supposed to snow on Monday, making a further mess of what will already be messy "Yid-lock" as people try to make it to their seders on time. Do you think you can do something about that?! At the end of February, Aunt Claire moved out to an Erickson community in Novi, MI, so she can be close to Marc, Susan and the kids, who moved to Perrysburg, OH, during the fall so Marc could take a new job. Daddy and I are planning to go out there in November for Carolyn's bat mitzvah, but that still makes this the first Passover in a long, long time that doesn't include Aunt Claire at our seder table. And, in fact, we're not actually having a seder. You know that Passover has never been Daddy's or Amy's thing and with Ian in Florida at a spring break baseball camp with John, our "seder" on Monday night will look more like a family dinner at Amy's house. She invited her friend Christine, and Aunt Bea and Barbara also might come--if Blossom and Ed don't go to Aunt Bea's. Even though it's not going to be a full-blown seder, Amy asked me to bring charoset, so I'll spend part of tomorrow chopping apples and nuts, and putting it all together. 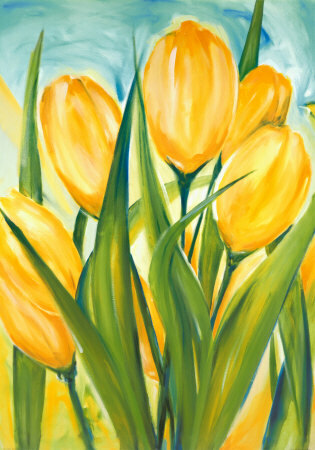 I hope she'll do yellow tulips on the table, but I'll probably bring a bunch with me, just to be sure. Tuesday night, however, I'll be at a full-blown seder, as I always am on the second night of Passover. This year especially, I am grateful for the opportunity to perform all the rituals--dinner in the RA Haggadah doesn't happen until somewhere around page 88, I think--and for the friends and laughter that will abound that night. I'm not quite sure how things work where you are, but I do hope that you've run into Mrs. Steinberg and that the two of you have been busy catching up with each other and shmying around in Pier 1, HomeGoods and at flea markets. Please keep your eye out, too, for a young woman whom I think you'll really like. Although Elissa Froman and I never met in person, we had a few email exchanges and a number of mutual friends, which actually wasn't hard since it seems that so many people were friends with Elissa. She was a RAC LA before going to work for the National Council of Jewish Women, where she was a deeply dedicated advocate for social and economic justice, managing a portfolio that included civil rights, religion/state separation, international issues and judicial nominations. 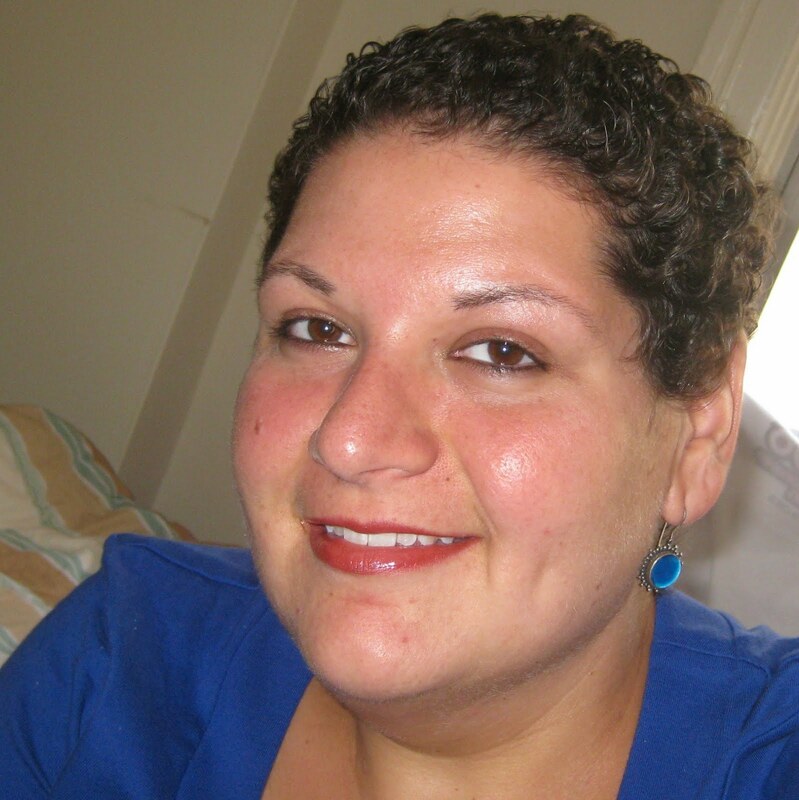 She had plans to go to rabbinical school and had been accepted at HUC, but after years of fighting Hodgkin's lymphoma, she died yesterday at 29. Today Facebook is overflowing with countless pictures of Elissa with her friends, as well as loving sentiments written by those same broken-hearted people. I've included a picture of her here so you'll know her if you see her. My hunch is that you and she will hit it off. There's lots more to tell, but it's late and so the rest will have to wait for another letter. In the meantime though, although Passover will never be an easy holiday for any of us, I hope you know that these notes to you help, in some small way, to redeem my heart from the grip of sadness that comes from missing you.